Soft skills assessment toolkit. Personalized and customized services strategy. Based on the findings of IO1, ICARO project will define a transnational Soft Skills Assessment Toolkit focused on adult unemployed learners. The assessment toolkit are designed to assist adult educators/employment counsellors in assessing the level of knowledge in soft skills of adult learners participating in the project with the aim of accrediting the already existing soft skills and, at the same time, to be able to design personalized and customized training strategies for each unemployed adult participating in ICARO. Before that, a transnational Report on Accredited tools/programme on soft-skills for adult learners will be done. This transnational report will gather all available know-how existing in partners’ countries. Training curriculum on soft skills for unemployed adult learners. Training curriculum on soft skills for unemployed adult learners. Depending on the results of previous phases, a modular bespoke training curriculum on soft skills will be created. 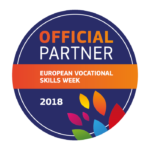 This is an innovative curriculum on soft skills addressed to concrete target groups of adult learners: long term unemployed adults, groups under social exclusion risk, low-skilled adults ect. Handbook for Adult Staff, empirical training with Adult educators to follow this individualized methodology and practical acquisition of soft skills for adult unemployed group is needed. Blending learning programme – “From home to work” modularising adult education programmes can facilitate the creation of individual learning pathways. This training is addressed to unemployed adult learners taking part into ICARO project. Programmes will be divided into several ‘building blocks’ allow adult learners to progress at their own pace and complete qualifications progressively. Accreditation – Alongside the development of modular training programme, ICARO project advocates the accreditation of the training programme, allow adult learner to accumulate and validate learning units at their own pace. Case studies – They will emphasize on the impact and effects of the learning programme “From home to work” and will constitute a proof upon the need of strengthening the initiatives and actions for adult education. Each partner will develop three case studies based on feedback and assessment of the training programme, through the Focus Group that they have organized at the end of the course.